Ahorro en gastos de envío. Oud Al Mamlika by Adyan. Prestige Collection. 100ml Eau de Parfum. 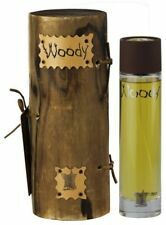 WOODY 100ML by Arabian Oud Like the enchanted woodlands that inspire its complex character, Woody is an intoxicating blend that takes you along earthy paths to the heart of nature. Spicy top notes of luxurious saffron blend perfectly with the earthy tones of patchouli, dry amber and classic oud. The base woody notes of cedar, amber and musk add body to the fragrance creating a sensual flora. We will always strive to solve any issues you may have. Negative or. Before leaving. Jazzab Gold is newly launched (Sep, 2017) by Ard Al Zaafaran, is filled in an exclusive, depicting strength musky and woody notes. What all everyone wants just one thing; to love the warm scent with exotic woods and spices?. This is a 100ML Edp Spray by Adyan Prestige and is part of a premium range. Awwal oud has sharp musky fragrance with notes of Agar Wood. Alluring fragrance for courageous and insightful natures. Houde and citrus give special brutality. Lattafa Najdia is the oriental fragrance that opens with energizing fragrance with various notes. Base notes: Woody (cedar wood, sandalwood, patchouli, vetiver, gaïac wood, agar wood), Oriental. FRAGRANCE: Top notes: Citrus (bergamot), Aldehyde, Ozone, Galbanum, Oriental, Spicy (saffron, cypriol oil), Floral (rose, jasmine). Original Oud Ahlam Al Arab 100ml fragancia Eau de Parfum Al Zaafaran, Emiratos Árabes Unidos. Es Un impresionante ,sensual y Masculino fragancia que un n impresionante combinación de Agrios y oriental - notas amaderadas que inspira! OUD AL MAMLIKA. Adyan presents this Oriental & Spicy Eau de Parfum. With notes that exude an alluring fragrance is best worn to evening galas and late-night parties. This is specially designed for Unisex. Formulation Spray. A continuación puede encontrar una traducción automática al español. MPN Does Not Apply. Size: 6ml (1/2 tola). This refined fragrance is composed of pure Oudh which yields earthy, woody and mildly sweet notes. Fragrance Notes: Vetiver, Patchouli, Violet, White Oud, Oakmoss, Musk, Agarwood. DIRHAM WARDI. This is a premium quality Arabian EDP we imported from the UAE. Base Notes: Vanilla, Tonka Bean, Patchouli. FRAGRANCE NOTES. Lattafa has created a new composition OUD MOOD REMINISCENCE with a very durable and intense fragrance. Warm composition, spicy and fresh, woody with the addition of cedar, vetiver, patchouli and cardamom. Size: 100ml. Fragrance Family: Oriental. Beautiful spray bottle, made by Anfar in UAE. Size: 20ml. Fragrance Family: Oriental. We will always strive to solve any issues you may have. 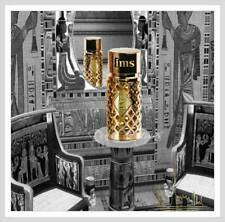 The fragrance features musk oud cambodian and oud heart. The longevity is above-average. BLUE OUD 100ml Eau De Parfum. Top notes: Cambodian, Oud heart. Base notes: Indian Agar Oud. OUD MUATAQ. BY ARD AL ZAAFARAN. ARABIAN NICE FRAGRANCE SPRAY. MIDDLE NOTES: Ambergris, Incense, Myrrh. FRAGRANCE FEATURES. It fragrance is Floral & Fruity. MUKHALLAT SHARQIA. Calidad árabe / Oriental fragancias de Zaafaran AL,Mukhallat Sharqia es un bosque fresco, único agar / fragancia de oud. POR ZAAFARAN AL. Formulation Spray. A continuación puede encontrar una traducción automática al español. 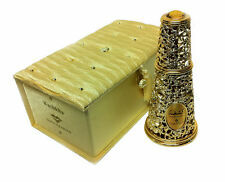 Oud al mamlika 100ml DESCRIPTION: Adyan Prestige presents Oud Al Mamlika perfume, which will catch your fancy at once. Comprising a Oriental & Spicy fragrance, this Oud Al Mamlika will steal the spotlight. The must-have essentials in this perfume that it will make you feel confident about yourself. It is available in 100ml bottle. It's fragrane type is Eau de Parfum. It is specially designed for Unisex. Sultán de AL OUD por ARD AL ZAAFARAN – SPRAY de 100ML. 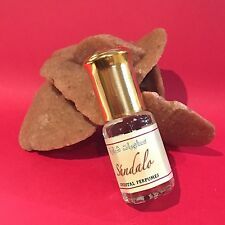 La fragancia cuenta con agar-wood(oud), notas especiadas, notas florales, almizcle, vainilla y notas amaderadas. A continuación puede encontrar una traducción automática al español. Nadine es una fragancia fresca y suave. Marke Al Rehab. el fresco aroma de las flores de jazmín y formar la dirección principal. dentro Deutschl y. Cantidad: 3 ml.